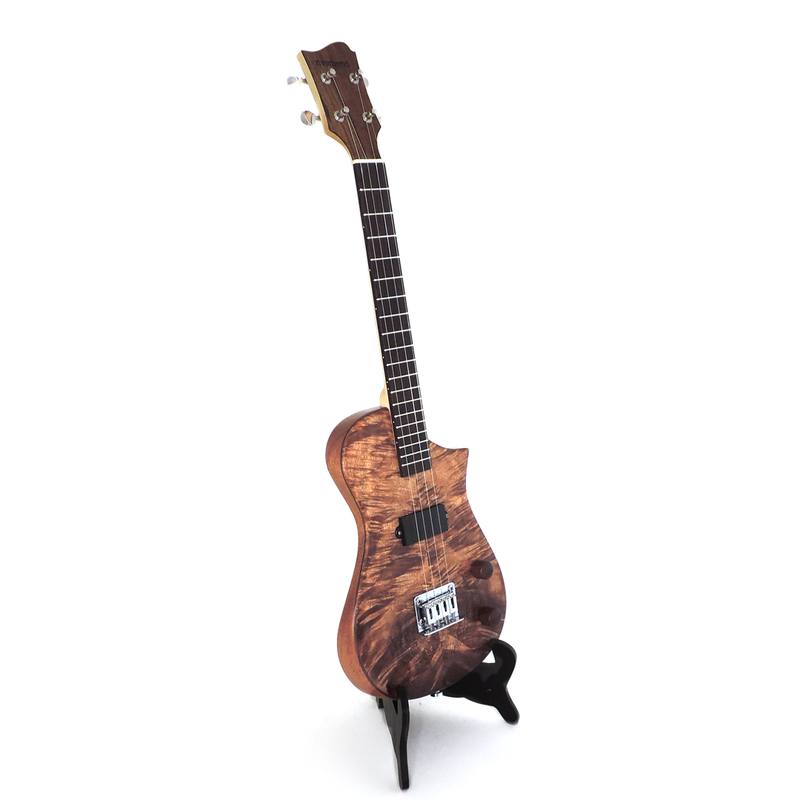 I built this custom uke for a good friend from a special piece of swamp koa that I found while visiting Hawaii (read the story of it here: Stories: The Koa Finds Me). 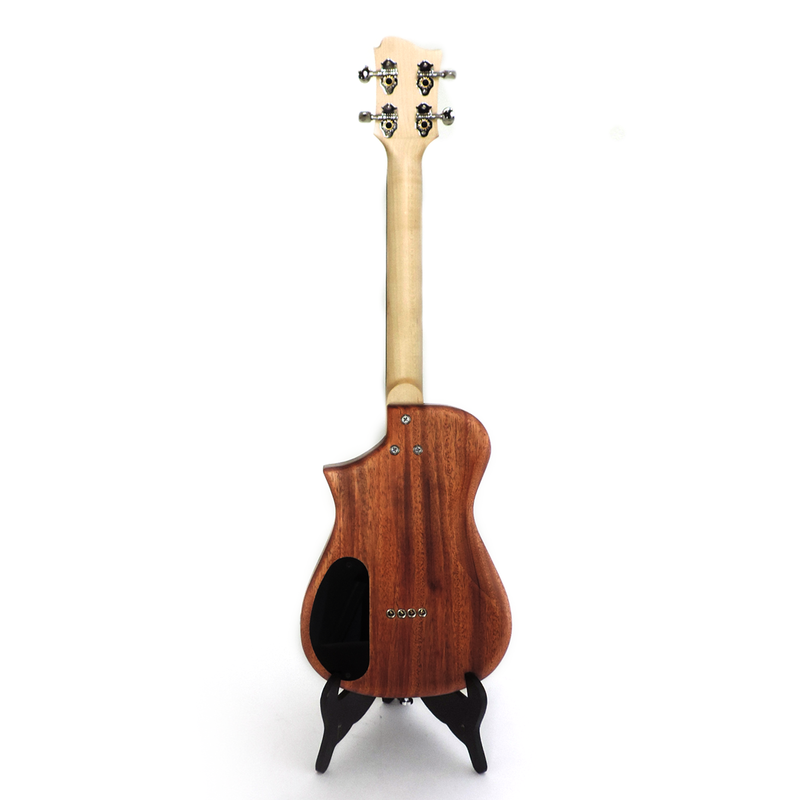 After seeing a picture of this amazing koa on my instagram feed, Tanya asked if I could build her a uke using some of the wood. We discussed options over coffee and decided that a tenor scale uke that displays the beauty of the wood was the way to go. 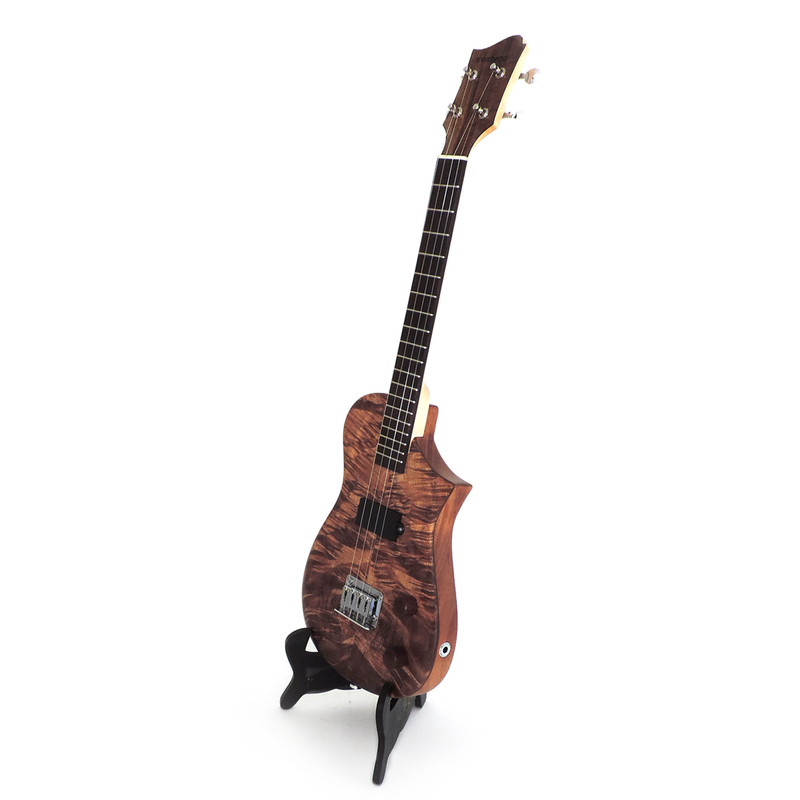 We paired the koa with an African Mahogany back accented with a thin layer of black walnut. 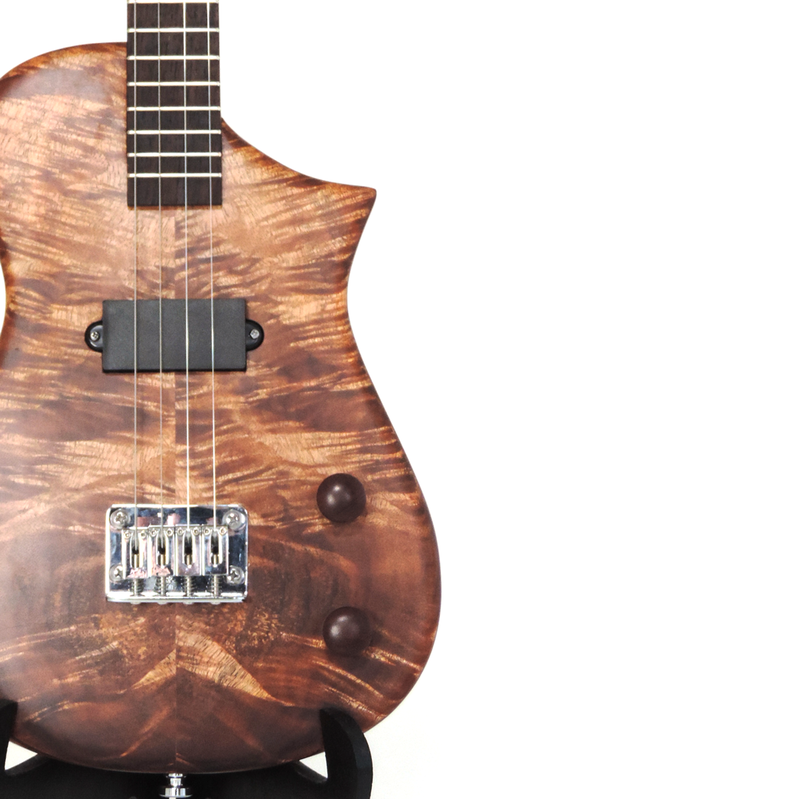 It features a lone single coil pickup , rosewood knobs, and chrome bridge to accent the koa top without overpowering it. 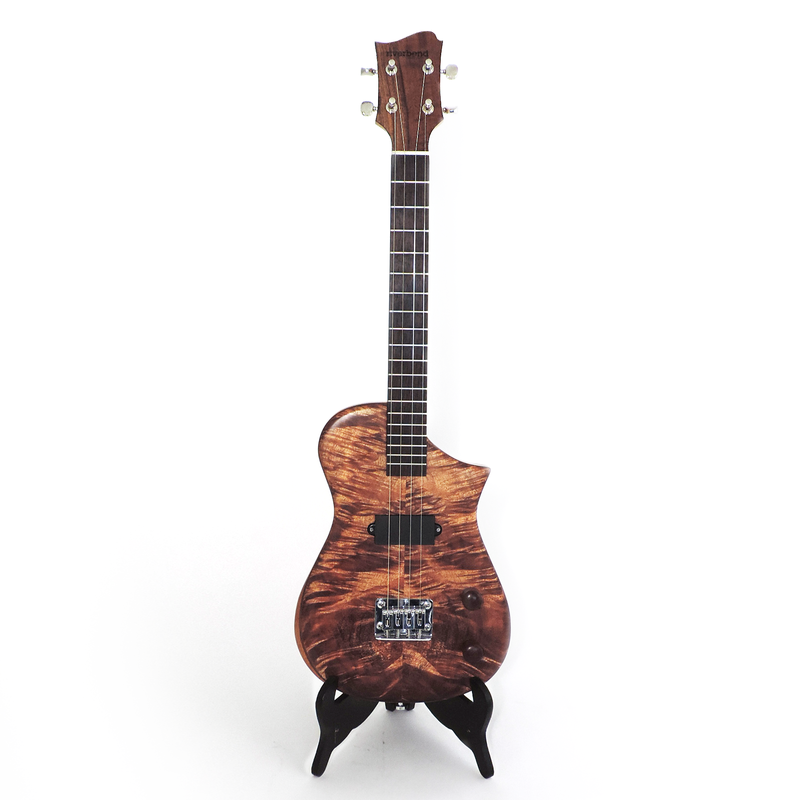 This uke plays as beautifully as it looks and is one of my all time favorite projects.